Bring your website experience into the Windows Store on top of the new web rendering engine. 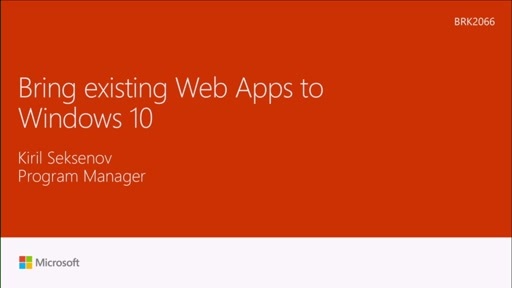 Leverage your web workflows to develop and deploy code on your server and access native Windows APIs. Learn how to mix and match server code with local client code. Hear the latest on cross-platform Cordova applications support on Windows 10. 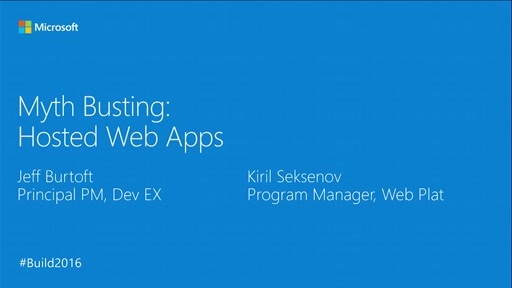 Bring your website URL and build apps live! Really really shoddy job recording/editing the video. The speakers start talking about something and I don't see it show up on screen for a long time. Sometimes, it doesn't show up at all! Disappointed. This session video did not sync between speackers video and screen video in one minute. Thanks for the feedback, we are working to get up a new video it should be replicating now. @YoshihroKawabata:A new video is being replicated now that is in sync. @arunjeetsingh:A new video is being replicated now.